To file for a divorce in Massachusetts, you will need the follow the 8 steps below. I have included a copy of the necessary forms below. Before we get started — it is important to know that the couple must live together in Massachusetts as husband and wife to file for divorce. One of the spouses must be a resident of Massachusetts if the cause for divorce occurred within Massachusetts. If the grounds for divorce occurred outside of Massachusetts, the plaintiff must have lived in Massachusetts for at least one year prior to deciding to file for divorce in Massachusetts. 1. Gather Your Paperwork AND make copies as soon as possible. You can obtain this from the town hall of the town/city you were married or resided in. Please note that the certificate from the church is not a valid document to file for divorce in Massachusetts. 3. Make a decision if you will file for a contested or uncontested divorce in Massachusetts. A contested divorce will freeze your spouse’s assets so they cannot spend your money, or if you have concerns that they will increase debts/liabilities or attempt to hide assets/monies. It may be to your benefit to file an uncontested divorce where both parties mutually agree on the terms, only if you feel your spouse will be cooperative. Whether to file contested or uncontested divorce is one of the most important decisions in the process for your successful outcome. 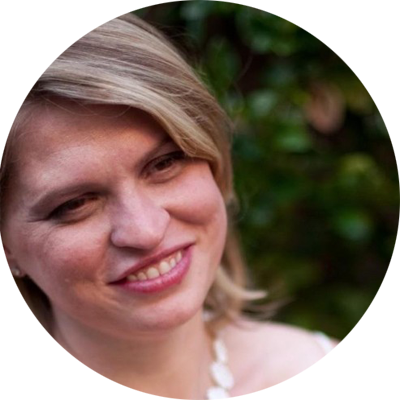 The remainder of these steps will focus on an uncontested divorce in Massachusetts. Once your letter is ready, arrange a meeting with all parties present and attorneys, if applicable. Draft the document encompassing all of the terms that you agreed upon. The court must review the agreement and approve it as “fair and reasonable” and may be rejected by the judge if there are any missing terms or the court deems it unfair. Some judges routinely reject agreements, so it is important to have it carefully written. If you have children (minor child under the age of 18 years old at the time of filing), BOTH parties MUST attend a Parent Education Class. The court will NOT assign a court date until this is completed. Buyer Beware – There are many Parent Education Classes available to take online, however these are NOT valid in Massachusetts. Only sign-up with the approved live programs on the court’s website. No Court Visits. No Lawyers. No Stress. 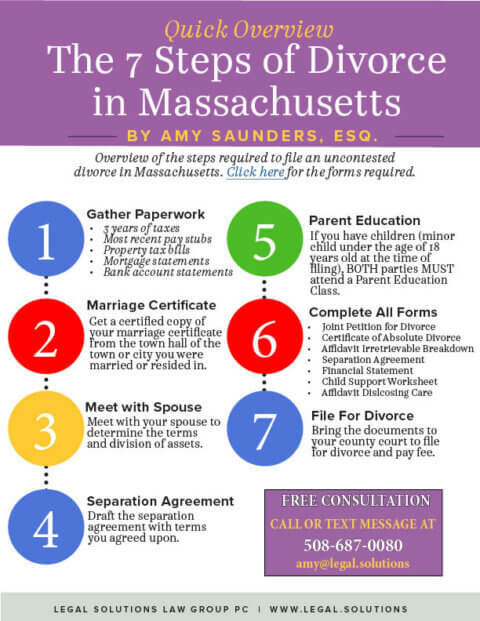 Complete all of the forms below to file for an uncontested divorce in Massachusetts. A certified copy of your marriage certificate – You must get this from the town/city where you were married. A Separation Agreement signed by both parties with each signature notarized. This must address the issues of the division of marital property, proper provisions for alimony (even if it is not requested by either party), custody, support and maintenance of any minor children. Affidavit Disclosing Care or Custody of a child if there are any minor children of the marriage, you MUST file this form. 8. Bring the documents to your county court to file for divorce.